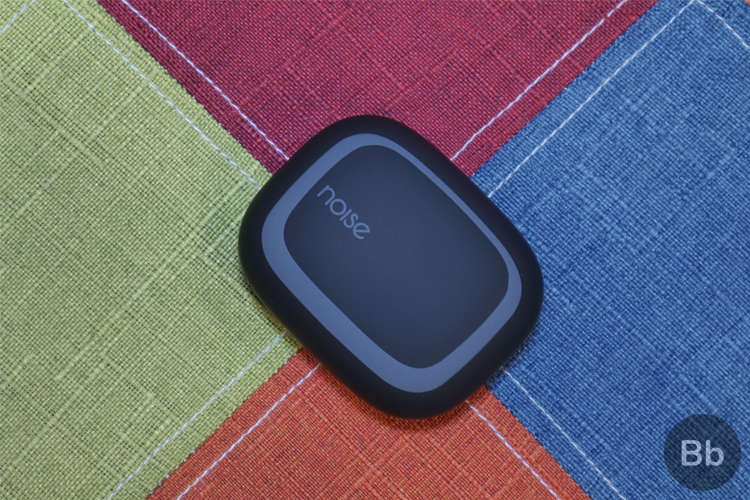 Home News Noise Shots X5 Review: Better Than Apple AirPods? 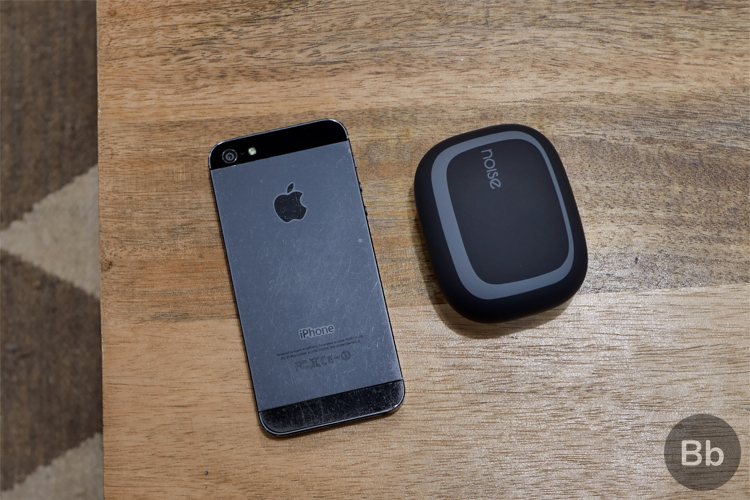 Noise Shots X5 Review: Better Than Apple AirPods? 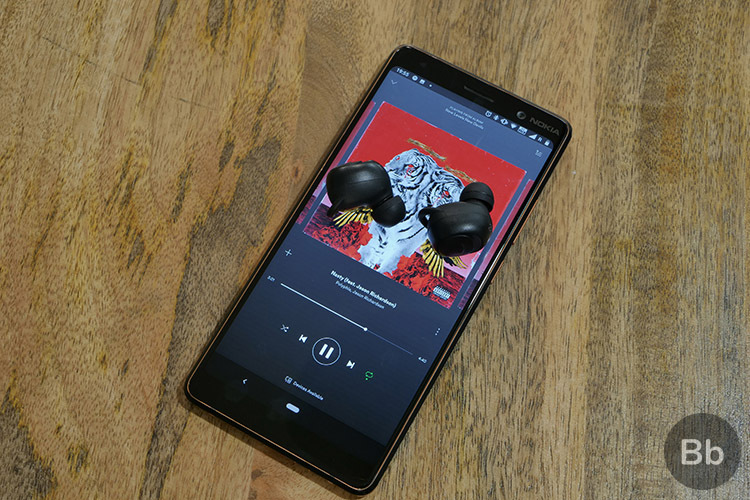 s the end of the headphone jack inches closer, especially after OnePlus 6T ditched it in favor of an under-screen fingerprint sensor, there’s a possibility that you are looking to make a switch to wireless audio. While Apple AirPods has set the benchmark in this category, competition from a host of audio brands has made wireless earbuds a hot category. The earbuds come with wing tips attached out of the box, so I was expecting to see some replacement options in the box but there weren’t any. Though it’s possible that you’re hearing of Noise for the first time, the brand has been around for a while and is slowly gaining traction with its eye-catching products. 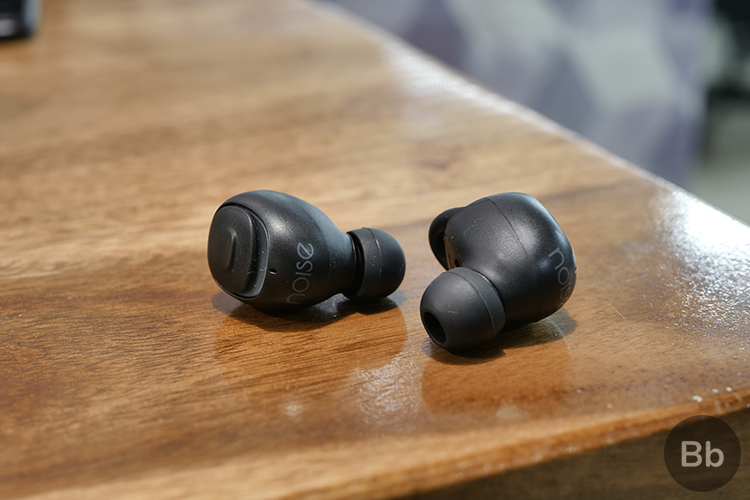 The Noise Shots X5 truly wireless earbuds are another example of this quality. Starting off with the case, it is one of the highlights of the package, and I love the cute round body and matte finish. But I wouldn’t lie; it’s quite bulky to carry around in your pocket. However, I didn’t really mind the bulk or its bigger size on regular use. I got used to carrying it around in my backpack and since it also acts as a power bank, it gives you an added reason to ignore the weight or size. The case includes a micro USB and normal USB-A port hiding under the flap on the rear. Enough about the case, let’s turn our attention to the earbuds. At this price, it doesn’t get better than the Noise Shots X5 earbuds is my short and sweet take. 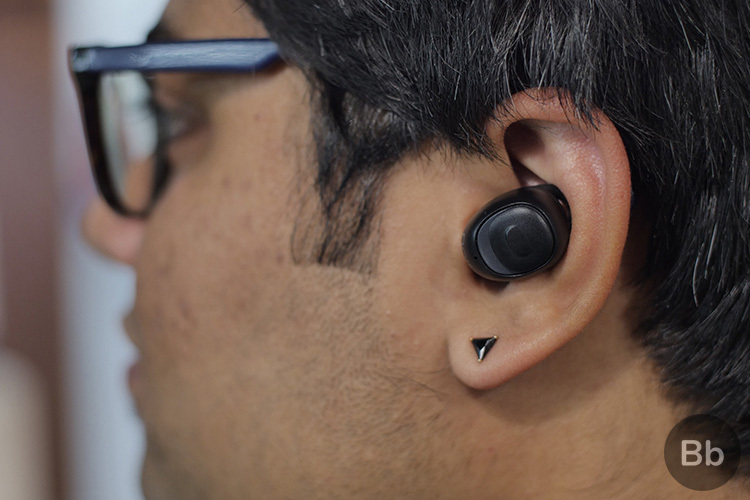 These earbuds are tiny, not too bulky, and fit perfectly and snugly in your ear. They are also extremely comfortable and I was able to use them for multiple hours, without experiencing any kind of pain or unease. The wingtips at the top hold these earbuds in place, and keep them from falling – even when you are head-banging. The Noise Shots X5 earbuds are snug and can be worn continuously for hours with ease! There’s also a hardware button on each of the earbuds, which needed a lot of force and this pushed the earbud further into the ear, which is not always pleasant. The buttons are the only weakness of the Shots X5 earbuds and I would’ve appreciated if Noise included capacitive touchpads on the same, but I can understand how that would have increased the price. A quick double press activates the AI voice assistant on your device and you can get your queries answered without having to use the phone. It surely comes in handy as a feature, but remember not to make a fool out of yourself by shouting random questions in public. You’ve been warned! While the controls are fairly simple to use, I’d love to see Noise make a companion app that allows us to customize the same in the near future. It will also enable them to take user feedback into account and enhance the audio performance via firmware updates. 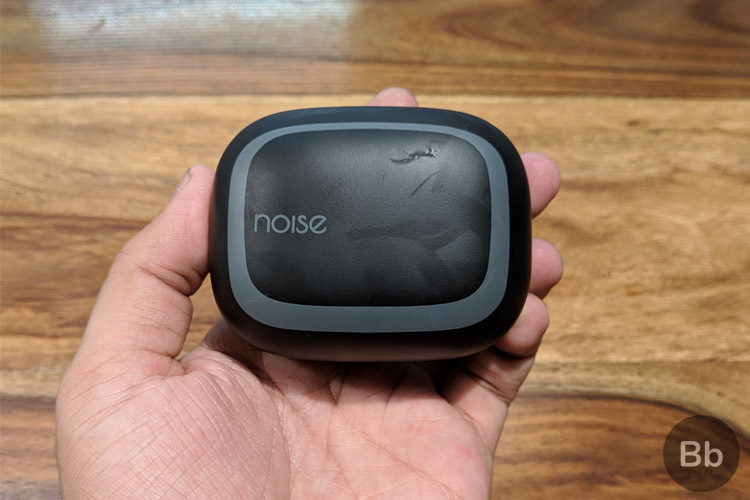 The connection process for the Noise Shots X5 is fairly easy and pain-free as you are required to simply open the charging case and pair the earbud (shown as Noise Shots X5 in the Bluetooth settings menu) with your Android or iOS device. Well, that was quick, so let me break down the complete pairing process for you because I love it! When you open the charging case and pull out both of the earbuds, you will see a white light on each to signify that the right and left earbuds have now paired with one another. Yes, Noise initially pairs the earbuds together to get the right and left audio channel ready – notifying you with a soft chime. This helps simplify the next step, i.e connecting to a smartphone, which you can do once the red and white light starts blinking on top of the right earbud. And voila, you’re done! You could choose to pull out just one earbud and pair with your phone to use just one earbud. As for connection reliability, well, I didn’t have the best experience with Noise Shots X5 in this department. The connection was usually strong and holds up to the expected 10 meters of range, with you not noticing any issues until you are sitting still at your desk. But, when you move around in a crowded place or pull out an earbud and hold the same away from the other one, static starts to creep in. The static only gets even worse when the connection faces some form of disturbance or interference, which was common for me while I listened to music on my terrace – which has a cell phone tower nearby. Finally, to give you an insight into the specs, the Noise Shots X5 are backed by an AIROHA chipset and supports Bluetooth 5.0, coupled with A2DP and a Digital Signal Processor which allows for seamless audio transfer. 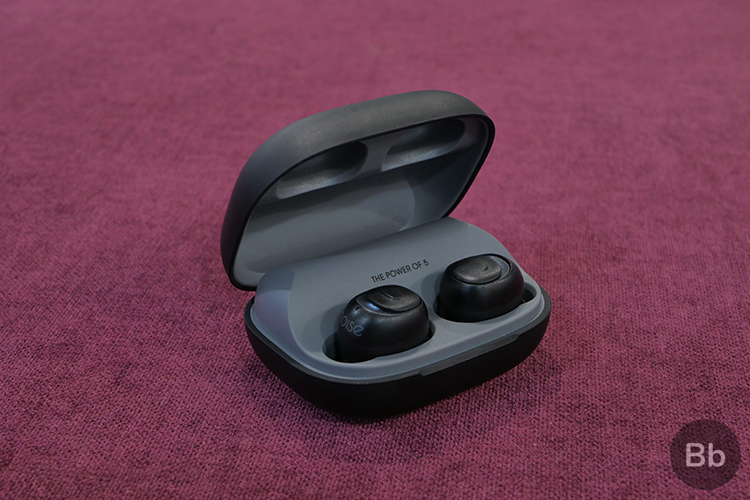 Now, talking about the most notable aspect of the Noise Shots X5, its audio quality was certainly a pleasant surprise for me and I didn’t really expect these wireless earbuds to sound as good as they really do. The Noise Shots X5 present you a well-balanced soundstage, with rich and full sound where neither the treble nor the bass is totally blown out of proportion. Over the one week that I got to spend with these wireless earbuds, they provided me a crisp and clear sound with great performance across highs, mids and lows. They actually offer you reasonably punchy bass, where you can discern the bass line amidst powerful guitar riffs. 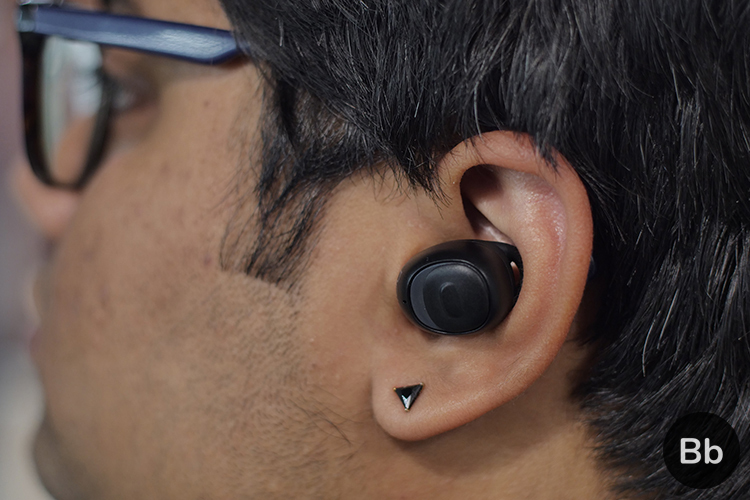 The earbuds also handle loud volume well, with no distortion or excessive peaking. I put the Noise Shots X5 to the test with my expansive playlist, bopping everything from mainstream pop songs like Post Malone’s Better Now and Lauv’s I Like Me Better to Boston Manor’s Halo and Nothing But Thieves’ Amsterdam. Well, I am happy to say that these truly wireless earbuds can keep up with my tastes well. My appreciation for the n Noise Shots X5 increased when I tuned in to Polyphia, an instrumental rock band with great production. The drums actually felt like an original thump and not artificial, making me absolutely fall in love with their music again! I’d even go as far to say that the Noise Shots X5 offer equally rich and balanced sound as the Apple AirPods, for almost half the price. When I reached this conclusion, I was a little confused as to whether my ears are playing tricks with me, I decided to pass on the Noise Shots X5’s around at the Beebom office to check what others thought. Suffice to say, it’s not just me; all of them were just as impressed with these affordable earbuds. 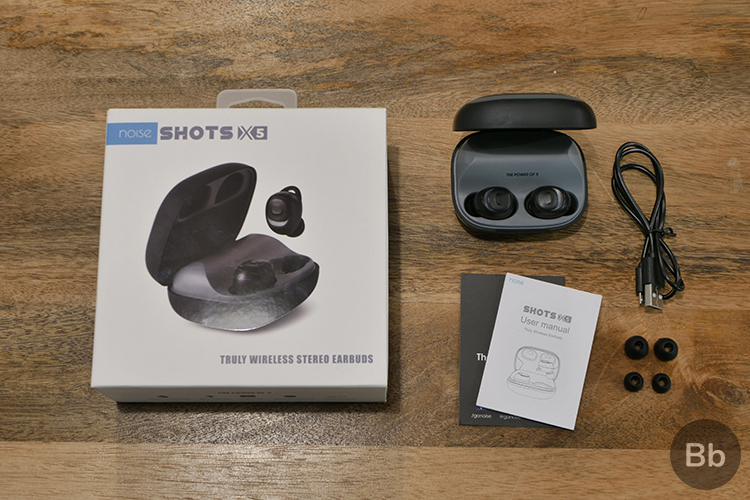 Noise Shots X5 hasn’t cut any corners and even voice calls on these wireless earbuds is a great experience, something which was missing on the Zakk Twins earbuds which I reviewed earlier this year. Unlike the Zakk Twins that relied on a single earbud (mono output) for calling, the Noise Shots X5 offers a stereo calling experience. It means these truly wireless earbuds allow you to receive calls and listen to the caller through both the earbuds. That was my major gripe with wanna-be Apple AirPods competitors and Noise appears to have taken this feedback into account while building its elegant earbuds. Most of the calls conducted by me (as well as my colleague Karthik, who uses an iPhone XR) on the Noise Shots X5 were a delight. 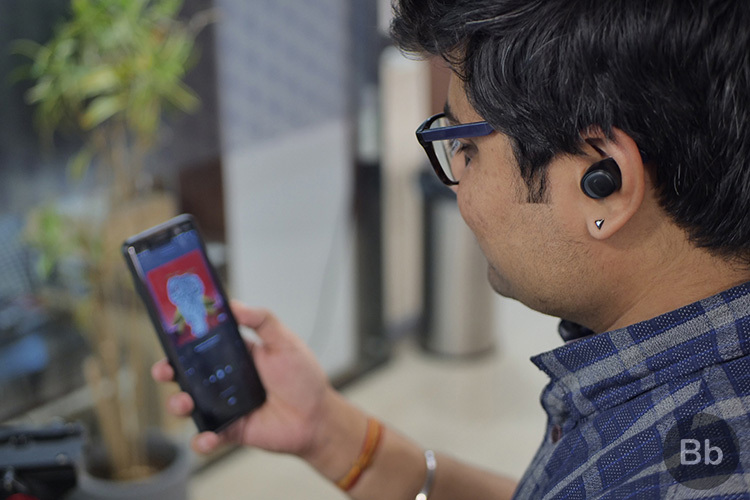 I was able to able to hear everyone I called quite clearly, without any issues with call quality and reception (with the phone in my jeans’ pocket or in my hand) and we should expect nothing less from Rs 5,000 truly wireless earbuds. But there’s a small caveat. The microphone in the right earbud is quit a bit away from your mouth, and those i called were sometimes not able to hear me loud and clear in noisy environments, such as during my commute. A secondary microphone could’ve easily fixed this shortcoming, but the overall telephony experience was satisfactory nonetheless. I know, it’s not really the greatest battery life and I’d any day take an hour or two of additional playback. 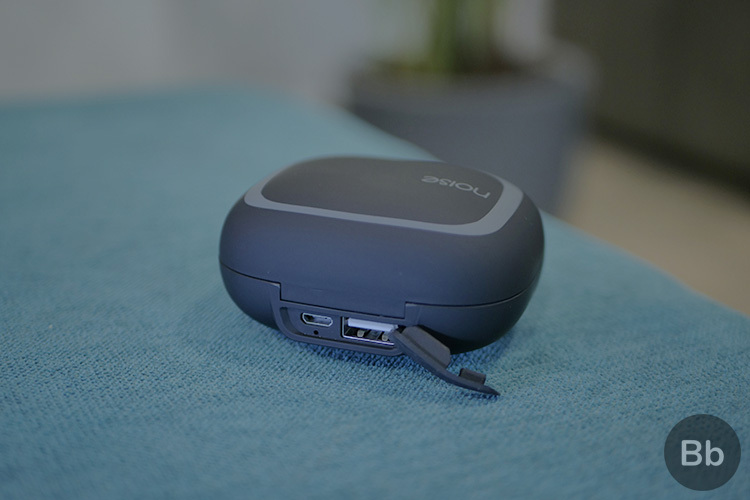 You can simply pop the earbuds back into its massive charging case and put them to charge (via the magnetic connectors on the inside), but it takes about 1 hour and 30 minutes to get them back to 100% charge. 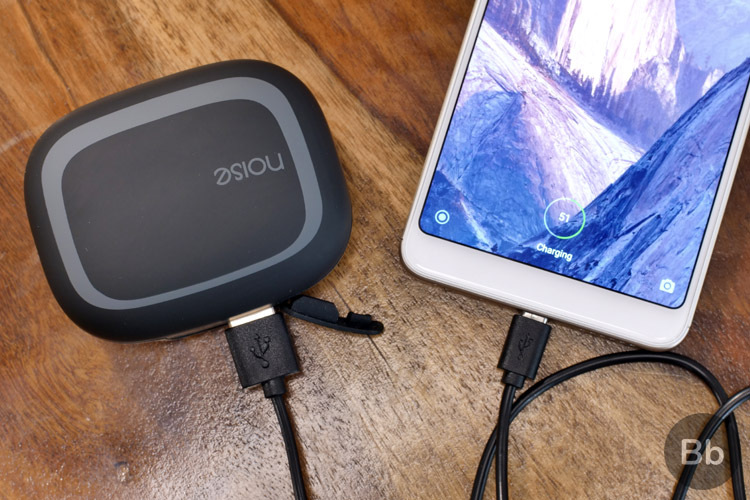 One of the highlight features of the charging case of Noise Shots X5 is its large 2,200mAh capacity, which enables it to double as a power bank as well. Yes, you can easily use it to juice up your phone on the go, which surprisingly did come in handy for when my battery ran low at times. The charging case is a boon, but it takes around 3 whole hours to charge the case using the provided micro USB cable. I had to do that just once in regular usage over the past week. However, the most tiresome task here would have to be the method to check the juice left in the charging case, that is indicated via blinking of the orange LED hidden behind the rubber flap for the ports. 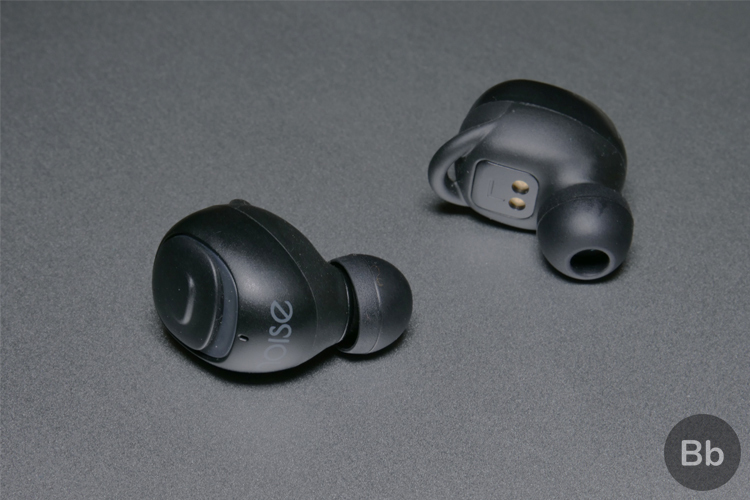 Noise Shots X5 Truly Wireless Earbuds: Should You Buy? 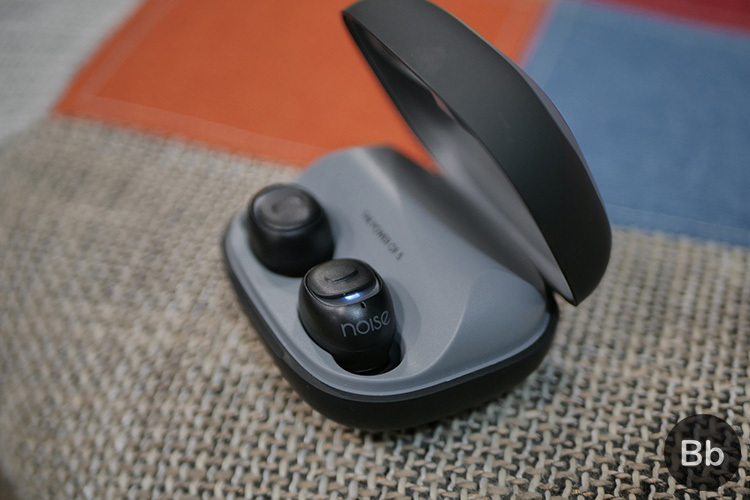 Now that you’ve learned almost everything about these truly wireless earbuds, you must be itching to know whether you should go ahead and buy the Noise Shots X5 (Rs. 4,999). Well, I’ve had an amazing time with them and will certainly recommend it to anyone looking for an Apple AirPods (Rs. 11,944) alternative. But it’s actually better than that. I would suggest you buy the Noise Shots X5 if you are planning to buy wireless earphones anyway, because it’s great value for money. They’re absolutely a joy to use but you can also check out its similarly priced rivals, the Toshiba RZE-BT700E True Wireless earphones (Rs 4,262) and Ochron Tunes Air True Wireless Earphones (Rs 4,599). However, if you’re worried that you may lose such earbuds and can handle some wires in your life then the OnePlus Bullets Wireless (Rs. 3,999) earbuds are obviously the way to go. They provide an even better audio experience, ridiculously fast charging and enhanced soundstage. And if you can extend your budget, well, the Samsung Gear Icon X that we’d reviewed earlier this year also a good alternative. You will need to shell out a hefty Rs. 13,990 to grab these wireless earbuds. 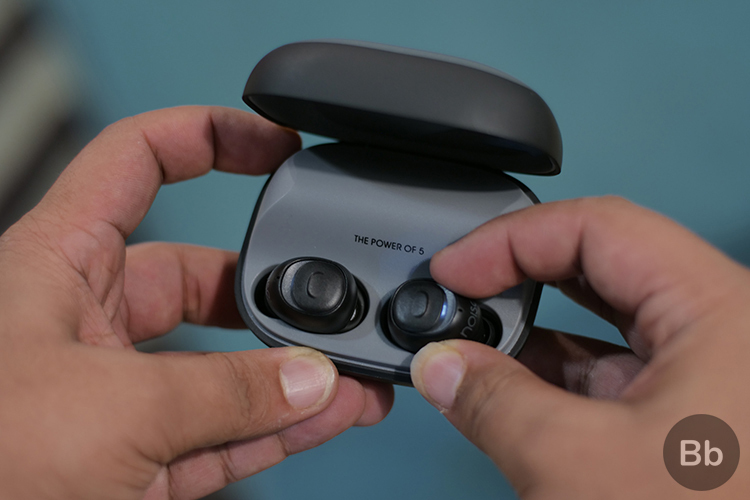 The Noise Shots X5 are are possibly one of the best wireless earphones you can buy in the sub-Rs 5,000 price segment in India. The excellent sound quality, combined with the balanced and rich soundstage, seamless pairing process, and a long-lasting charging case, which also doubles up as a power bank – it’s got a lot going for it. They surely are a fantastic and affordable alternative to the Apple AirPods and other truly wireless headsets well above this price range. Well, I hope this review helps you in making the right decision and if you do choose to get the Noise Shots X5 truly wireless earbuds then let us know your opinions in the comments section down below.